Color UI is a new simple and good looking theme project includes support for Xfwm4, Unity, Cinnamon, GTK3, GTK2, Metaciy, Mutter, Openbox. 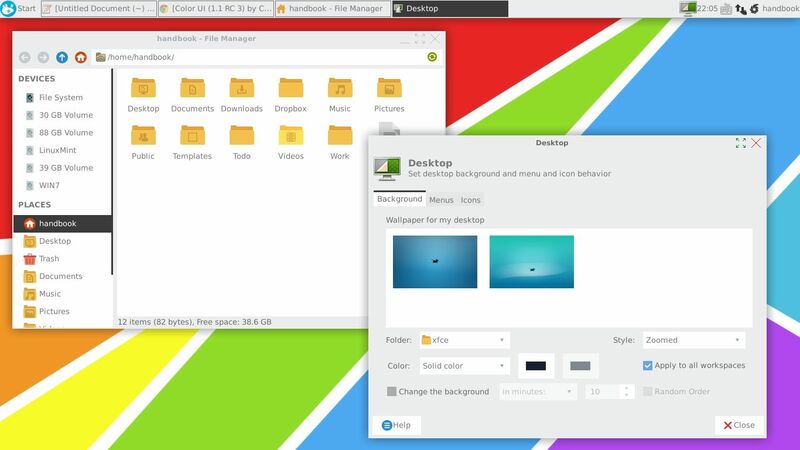 Below is the screenshot of Color UI theme in Xfce Desktop, along with Numix-icon-light and Pen Tool Wallpaper. 1. Download the theme from right pane of the project page. 4. For XFCE, apply the theme at Settings Manager -> Appearance -> Style, and Icons tab. Also change the window border by going to Settings Manager -> Window Manager -> Style. Thanks for your awesome Note. I use xubuntu. I downoad and copy Color UI, now I use this tehem (Thanks to you). But my icon section is not showing Color UI icons.Why?I need to download Icon too?